Colombia expects Venezuela to exhaust “all internal protocols” and deliver Julián Cornado, a.k.a. Guillermo Torres, an alleged member of the Revolutionary Armed Forces of Colombia (FARC), Colombian Defense Minister Rodrigo Rivera reported in Bogotá. Rivera added that Torres was captured in Venezuela in a joint effort. 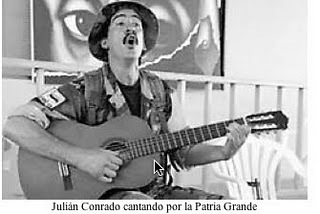 The rebel chief, also known as “the FARC singer” after his love for music, was captured last May 31 in western Barinas state, under an application filed by Colombia at the Interpol. CARACAS (Reuters) – Venezuela’s President Hugo Chavez said he supports the government of fellow OPEC member Libya but shied away from defending his friend Muammar Gaddafi, whose troops diplomats and Libyans say have shot protesters. Chavez said he had not been able to talk with Gaddafi and could only rely on media reports he suspected of being biased for information about events in the North African country. [On Thursday, February 24, Venezuela’s Hugo Chavez declared his support for his fellow petrodollar populist and social democratic nationalist, Muammar Gaddafi. With this declaration, a controversy and debate among supporters of Venezuela and more broadly among “Third World Marxists” has opened up. And Chavez’ encouragement and support for Gaddafi has undoubtedly prolonged and intensified the attacks on Libya’s rebellious and revolutionary people. Revolutionary and anti-imperialist people everywhere are challenged by these events, and are struggling to understand how the people’s movement for national independence a half-century ago became dominated and controlled by such a powerful bourgeois figure as Gaddafi, who in the last decade has proven to be an imperialist tool and an enemy of the people. The Venezuelan government has accused the U.S. and its allies to organize a “military intervention” in Libya. In October 2009, Mitsubishi workers protest firings of 307 workers and the collusion of the Labour Ministry with the company. These protests followed a series of long strikes, factory occupations and the killings of two workers. Mérida–Thousands of Venezuelan workers took to the streets of Caracas on Tuesday, November 9th, demanding greater participation in their country’s nascent socialist economy. Carrying banners that read, “Neither Capital nor Bureaucrats – More Socialism and More Revolution,” thousands of workers, union representatives, members of leftist political parties and other popular organizations took their demands to the Ministry of Communes and Social Protection, the National Assembly and the offices of the Vice Presidency. 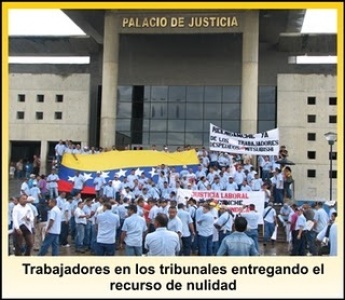 Venezuela’s National Workers’ Union (UNETE), the organizers of the demonstration, called for the immediate passing of a new and radical labor law, the resolution of pending collective labor contracts, and the empowerment of workers within their unions, especially at worksites that now belong to the network of recently nationalized industries.